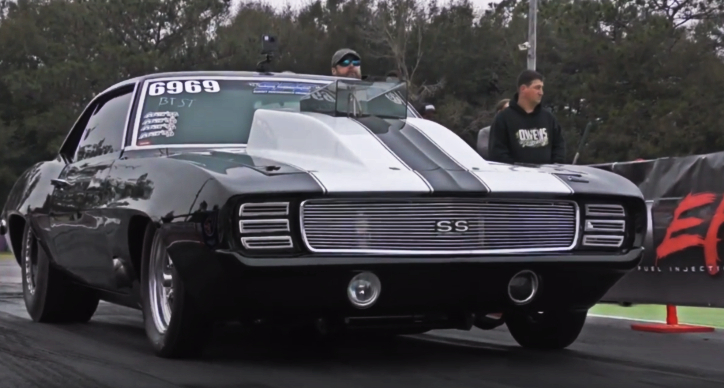 A Small Block Nitrous fed Camaro drag racing on small tires literally murdered Jeff Lutz with his ’57 Chevy at Emerald Coast Dragway Florida. To be honest I don’t think anybody saw that coming, and many think something went wrong with Jeff’s Tri-Five, but one way or another this was a hell of a victory for Adam Plunkett and his small tire first generation Camaro. Check out the video brought to you by the National No Prep Racing Association and smack the Like button below!